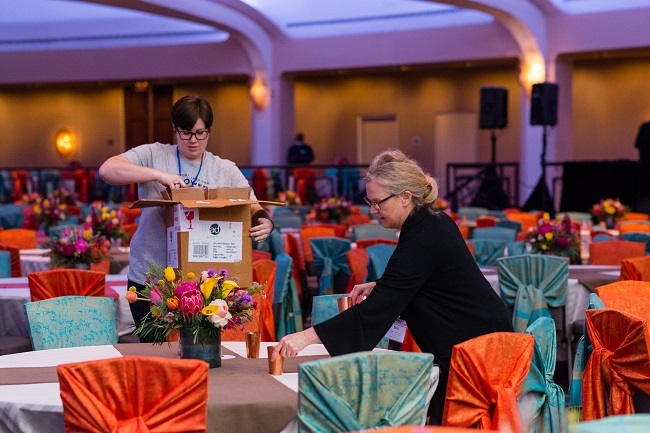 Volunteering For First Lady’s Luncheon In Washington D.C. 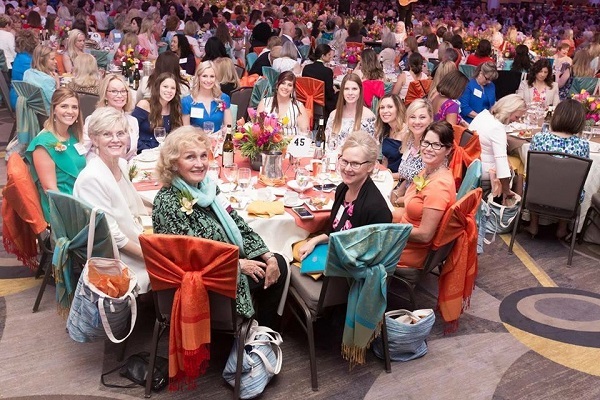 It has been an honor and surely one of the most memorable events of our career in being invited as a freelance designer for the First Lady’s Luncheon in 2017 and again this year in 2018. My husband and business partner also volunteered as part of a back up staff to the designers. 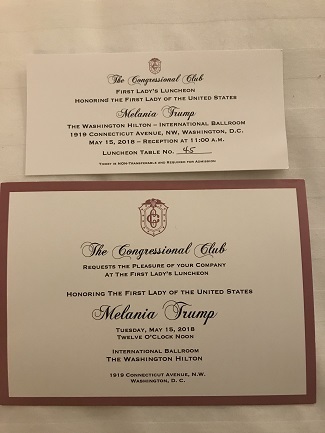 The Congressional Club hosts the fundraiser luncheon for the First Lady’s choice of charity and the luncheon is attended by spouses and family members of congress as well as other distinguished guests. 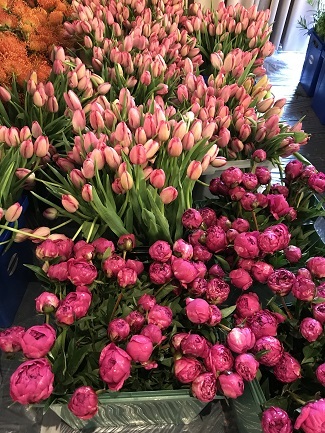 I am pleased to publish this blog during July which is Certified American Grown Flowers Month! 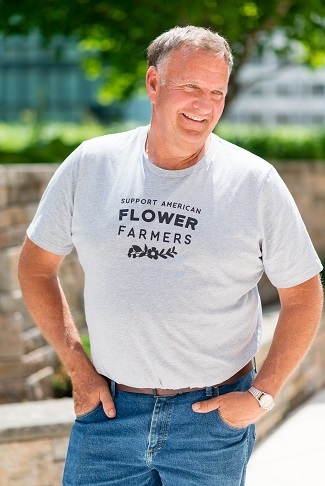 Nature Supply Company donated t-shirts which proclaimed “Support American Flower Farmers” for all the volunteers to wear as we were setting up. 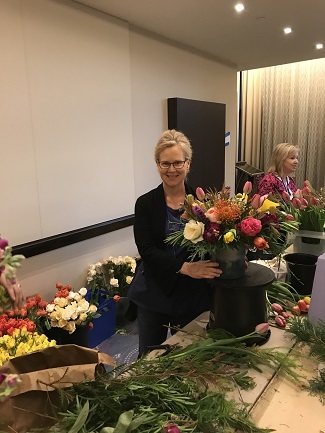 The most amazing thing about being a part of this event is experiencing and working with the more than 17,000 stems of gorgeous American grown flowers and greens all donated by Certified American Grown Flower Farms. 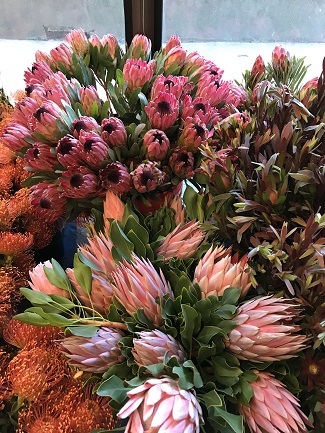 American Flower Farms that donated include Mellano, Gallup & Stribling, Westland Orchids, Resendiz Brothers, Kendall Farms, Ocean View Flowers, CallaCo, Holland American Flowers, Sun Valley, Eufloria, Dramm & Echter, Myriad, Green Valley, Fern Trust, Texas Specialty Cut Flowers, Harmony Harvest, Protea USA, Oregon Flowers, Len Busch and Star Valley Flowers. 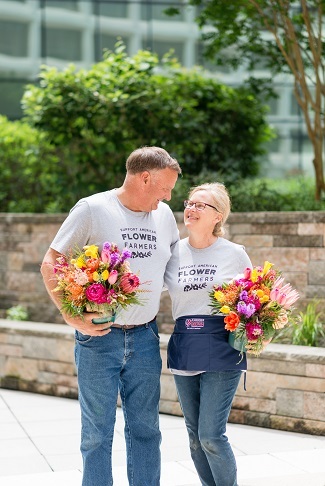 All the flowers and greens arrived by truck in pallets of flat flower boxes at the loading dock. 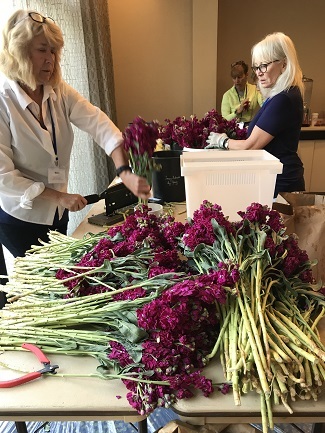 The boxes were moved up to the design rooms using the freight elevator where the flowers were unboxed and processed by stripping the lower leaves, giving the stems a fresh cut and placing into prepared flower buckets with floral food. The stems were also counted as we processed them so that we would know exactly how many stems of each variety we had to work with. 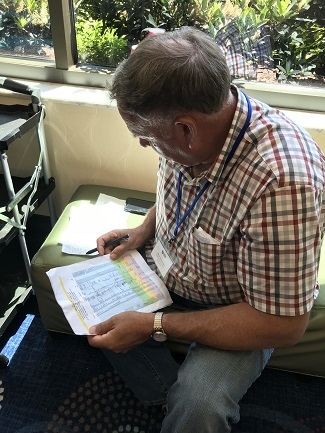 My husband Wayne was in charge of keeping tabs on all the counts and checking them against what was ordered to make sure everything was shipped. There is much excitement and a spirit of camaraderie among the volunteers. 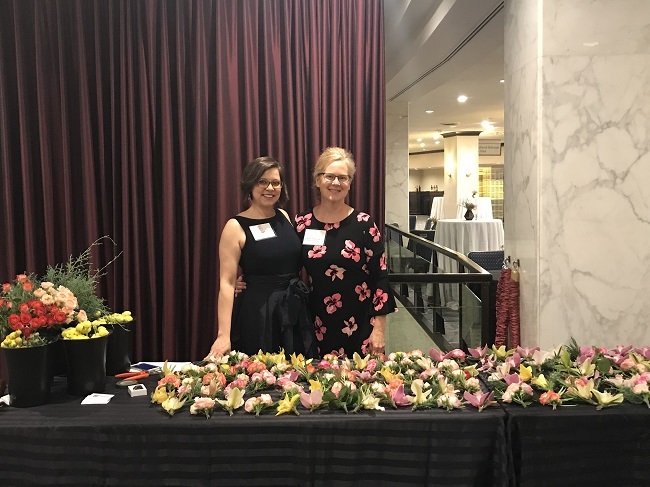 Kelly and Mary Kate had everything well organized with recipes for each type of centerpiece and arrangement we created. Accent Decor donated all the containers and each of these had to be unboxed and unwrapped. Oasis also donated supplies and Delaware Valley Floral donated as well as provided the trucking of the flowers. 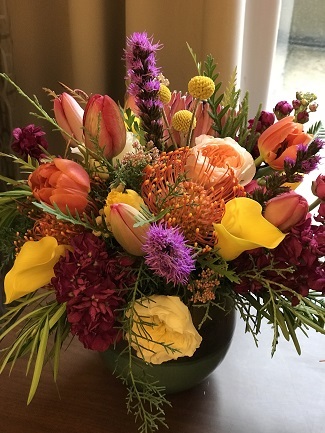 Our design workroom was packed with buckets of flowers surrounding the room in a stupendous array of color, scent and textures. 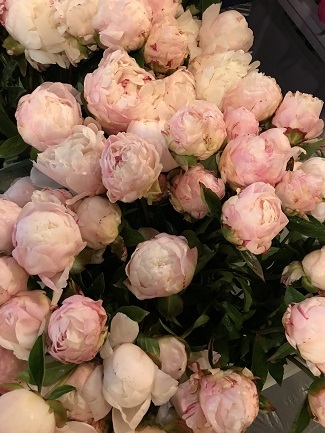 We had already prepared the work room by covering the floor with plastic, setting up the design tables and getting supplies organized first before the flowers arrived. 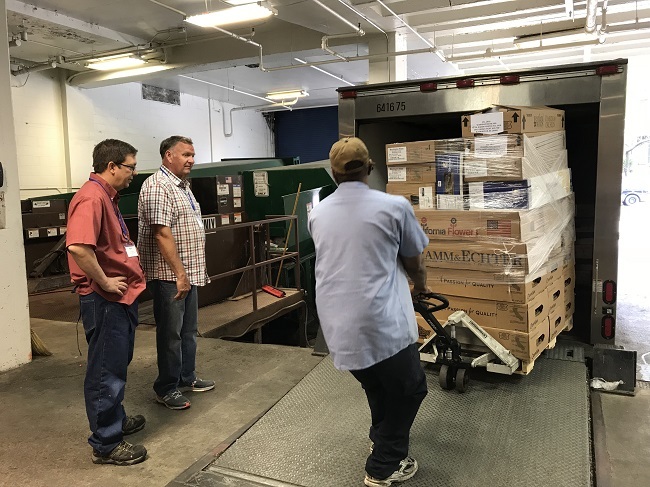 This year we had two additional work rooms on each side of the main design room where containers, vases and votive holders were unwrapped from the many boxes they came in. These extra rooms were also used to hold the finished arrangements until set up time. 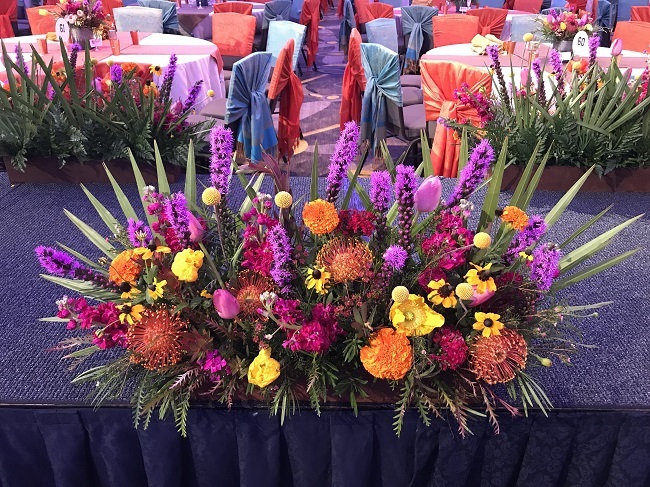 A total of 172 table centerpieces were completed as well as a flower wall, small cocktail arrangements, head table arrangements and long flower box arrangements to line both sides of the promenade. The flower wall was designed on rolling carts covered with floral mesh and covered with a variety of greens placed into the mesh. 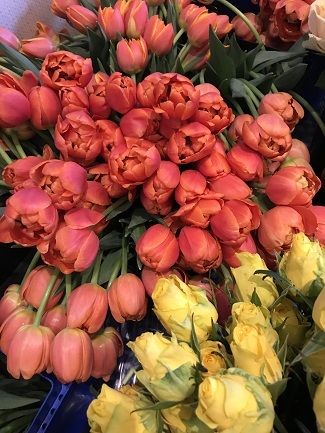 Next trays of Oasis wet foam were secured onto the shelves and the flower stems were inserted through the greens into the wet foam to form waves of color representing a Sedona sunset. Volunteers were behind the wall helping guide the stems into the foam as volunteers in front inserted the stems into the foam from the front. Creating a flower wall was a new experience for me and so exciting to see the mechanics used to create it. It was a bonding experience as we worked together inserting the stems. The whole weekend was a great experience of bonding by working together and finishing each item as a team! 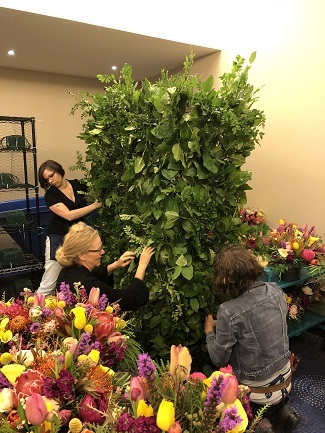 This year we were able to move the flowers into the ballroom the day before the luncheon which saved us from having to get up at 3 a.m. on the morning of the event. 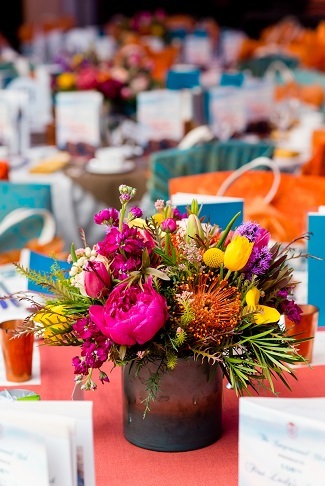 Each table held a centerpiece and the promenade was lined with flower boxes in beautiful bright colors. On the head table shorter boxes of flowers were placed between each long flower box to give a bright and colorful display across the front of the tables. Copper votive candle holders donated from Accent Decor were set out on all the tables with candles placed inside. 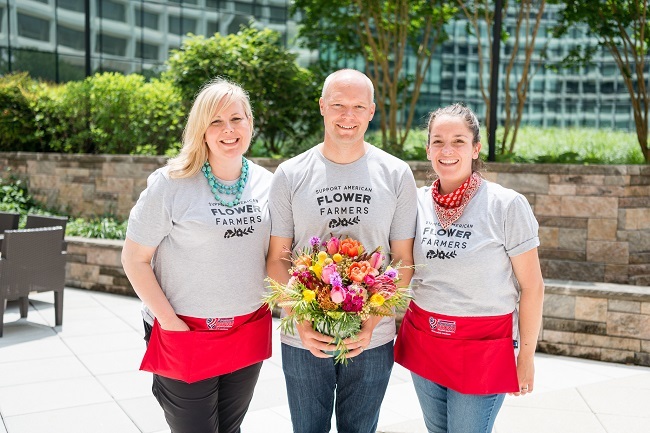 Certified American Grown cards were arranged around the flowers to bring awareness of the beautiful flower choices we have right here in America and supporting the American Flower Farmers. 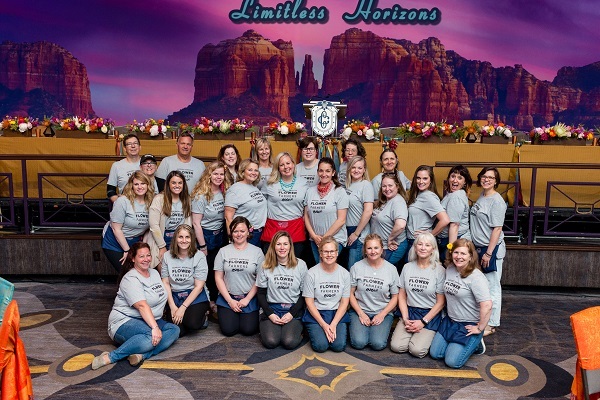 Here is the whole gang of volunteers pictured below. There were 22 designers and 5 back-up volunteers to the designers. I enjoyed meeting and working with so many talented individuals, trading stories, learning from each other and making new friends. It was a lot of hard work but still such an honor and so much fun to be a part of something on this grand of scale!! 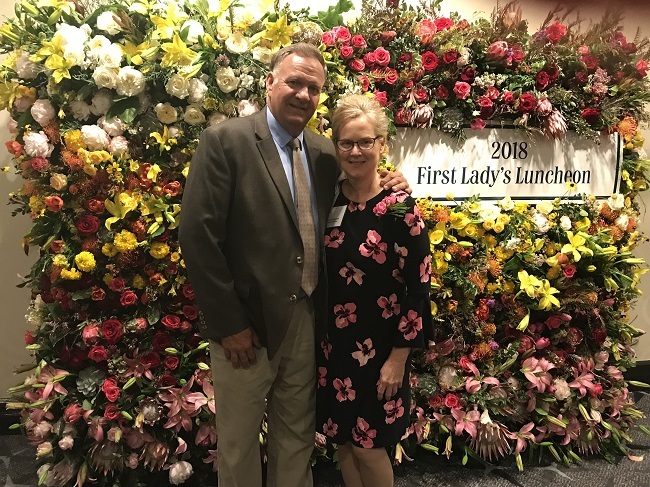 This year brought me the most awesome opportunity to actually be invited to attend the First Lady Luncheon in exchange for working the boutonniere bar and helping clean up afterwards. The day was so busy and it all moved so quickly it seemed surreal. There was a moment of disappointment when we realized that First Lady Melania Trump would not be able to attend as she was suddenly hospitalized. It was still an amazing and grand experience! I enjoyed hearing Second Lady Karen Spence’s speech in which she gave a very nice tribute to the First Lady. The boutonniere bar was located at the entrance to the ballroom. All 600 boutonnieres were selected by delighted guests and pinned on for them. 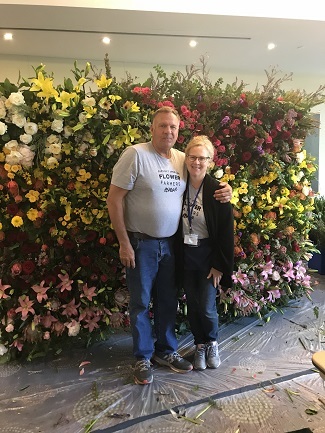 The flower wall was also at this location as a photo backdrop and both were a huge hit with such long lines that not everyone got their photo taken before the luncheon but could return after the luncheon for another opportunity to have their photo taken. 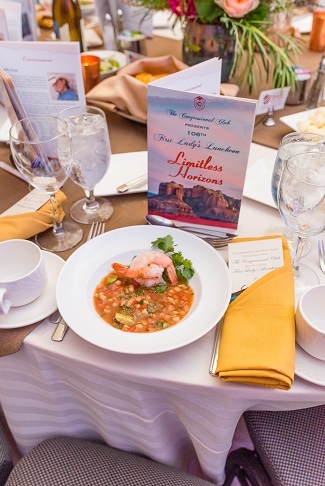 The menu was chosen around the Southwest theme and started off with an appetizer of Coctel de Camarones, Gazpacho with Shrimp and Zesty Lime (pictured below). The entree was Roasted Marinated Pork with Home-Style Carnitas with Jicama-Infused Salsa de Arbol, Roasted Baby Vegetables and Jalapeno Cornbread. For dessert we were served Tres Leches with Ancho Chocolate Ganache and Churro. Wine was WillaKenzie Estate Pinot Gris 2016. Korbel California Champagne was served to the guests invited to the VIP Reception ahead of the luncheon. 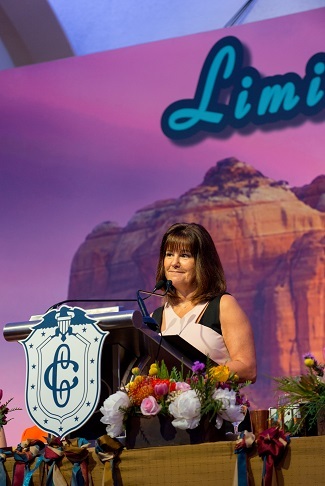 Second Lady Karen Spence gave the speech in the First Lady’s absence. She described what a very caring and kind person First Lady Melania is and gave many instances of her kindness and caring that she had witnessed first hand of the First Lady in action reaching out to others. She also described the charity Mrs. Trump had selected which was Lily’s Place. 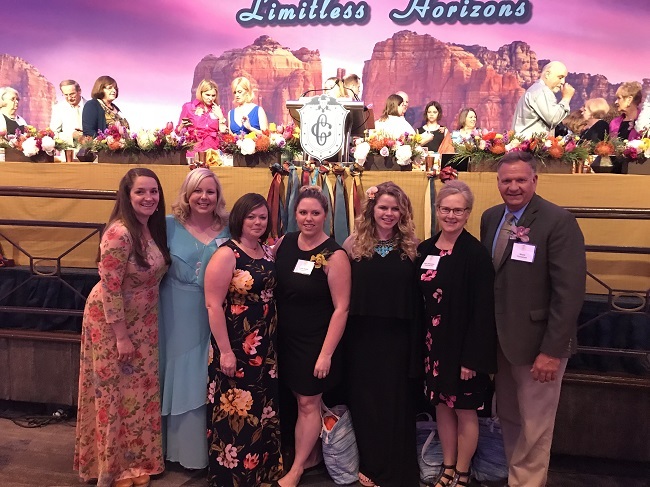 Lily’s Place provides care to infants prenatally exposed to drugs while offering support, education and training to families. 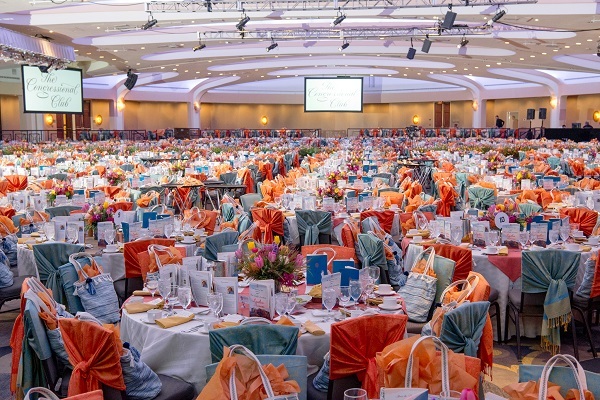 Attending the luncheon has been an incredible experience for me and my husband. It was worth every minute of work, preparation and clean up to be able to experience this once in a lifetime opportunity! !